Peter Drucker once said, “Culture eats strategy for lunch.” Yet, internal barriers such as silos and weak communication channels foster behaviors that detract from a customer-centric culture. Organizations committed to a customer-centric vision create a clear path forward, cultivating their culture by tapping into the rational and emotional belief systems of their employees. They understand that employees at all levels crave an avenue to share their customer-centric experiences, inspire each other, and influence decision making. Yet, fulfilling on customer centricity requires systematizing how organizations communicate, operate, and measure success as they engage employees in their vision. Beyond being a staunch advocate for their customers, leadership must have an intuitive sense of existing relationships amid teams and identify the connective tissue among them. They then must develop systems that foster shared learning, empower employees to act on customer knowledge, and translate the vision of leadership. Ultimately, this will create an ecosystem that rallies employees and opens internal pathways to execute on this vision. As mentioned, it’s typically organizational barriers that stall customer-centered efforts, not lack of customer understanding. This finding is consistently evidenced by customer experience, marketing, and insights executives who participate in our Decision Intelligence|Customer Experience (DICE) assessment. To ensure internal alignment on a customer-centric vision, leaders must take stock of internal employee engagement measures to identify gaps in the employee experience. All too often, these gaps have a downstream effect on customers, and it’s not uncommon for employees to make or break a great customer experience. While seemingly counterintuitive, investing in systems internally is necessary to succeed with customers externally. An employee community platform designed to shape an ecosystem of knowledge between decision makers and the front line is one internal mechanism to ensure ROI on your customer experience program. In many instances, reorienting an entire organization around its customer requires cultural transformation. In all cases, it requires balancing a focus on the future with the demands of the here and now. Recognizing and celebrating key milestones along the journey further instills the right behaviors, while motivating employees each step of the way. A change-agent mentality is critical to embarking on this journey. Leaders at these companies that excel at employee and customer experience walk the talk of customer centricity—a living demonstration of the culture they are striving to cultivate. In a truly customer-centric culture, an organization’s structure, work streams, communication channels, and reward systems are established such that “doing the right thing” by customers becomes second nature. In this case, culture acts as an invisible force that shapes how employees behave and take action, even when no one is looking. In the words of Julie Kantor, “Behaviors can be seen. Beliefs can’t.” And organizations that understand that “culture eats strategy for lunch” never underestimate the value of these two being in lockstep. 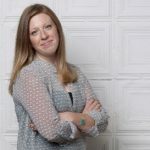 Sarah Tarraf, Director, Customer Experience, Gongos, Inc.
Sarah has worked in research and analytics for over a decade, in both a market research and academic capacity. Since joining Gongos in 2010, Sarah has led the Analytics & Marketing Sciences group, while acting as Statistical Analyst and Statistical Consultant to clients. Today she leads the company’s Customer Experience practice, devising functional strategies that link to the entire ecosystem of customer insights. Sarah is particularly interested in leveraging methodologies and the intersection of technology and analytics to harmonize the ‘what’ that is happening on the ground with the ‘why’ that is impacting experience.